Meadowlark Hearth  farm in Nebraska. A nationally known organic seed producer faces contamination of their farm from a proposed cement plant and asphalt production facility. The City Council in Scottsbluff, Nebraska, will decide on Monday, August 21, 2017 whether they will sell 365 acres of city owned land for a cement plant and regional offices. The property is located next to Meadowlark Hearth Farm, which grows organic/biodynamic seeds. The farm sells its select variety of seeds to gardeners and farmers throughout the United States. Meadowlark Hearth Farm is currently the only certified organic vegetable producer in the Scottsbluff area, and their organic seed operation is one of the only facilities of its kind in the Midwest. Their farm is certified Organic and Demeter Certified Biodynamic for seed growing. The nearly 500 acres of Meadowlark Hearth Farm is the home to three large certified organic seed production gardens. 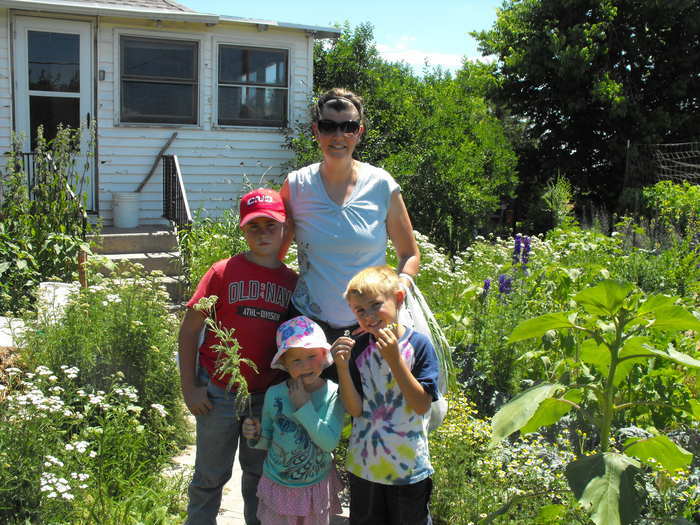 It is a fourth-generation family homestead for Beth and Nathan Corymb. In addition to producing organic seeds, the farm has a Community-Supported Agriculture program (CSA), which distributes organic vegetables and milk to people in the local community. The Corymbs are assisted by two other couples who help with farm work. The farm also raises USDA-certified beef and pork. The farm’s Living Environment Foundation, aims to educate people in sustainable agriculture and seed growing, as well as to provide a therapeutic outlet. 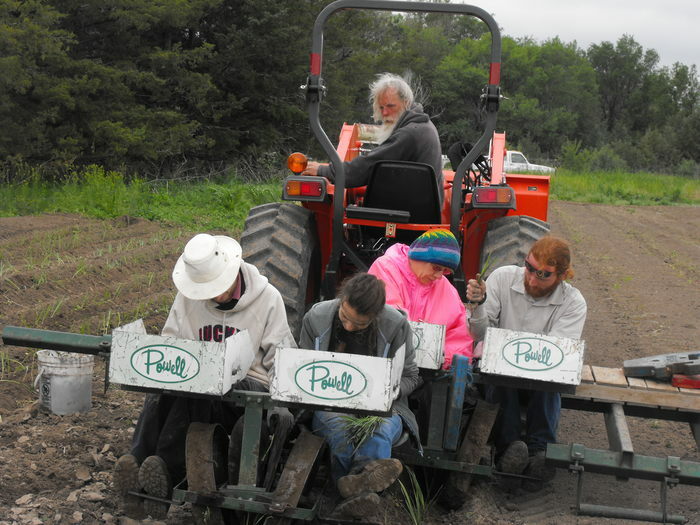 The tax-deductible foundation was started to help with the development of the farm’s mission, and has received grants for providing classes on growing, processing, and storing seeds. During a recent Health Impact News interview, Beth Corymb explained that EPA regulations will not remove all the threats to their farm. She described the message that she delivered to Scottsbluff officials and to the local representative from Croell, Inc. I tried to show them that we are not against industry coming into the area – we just don’t want it in an area where we are trying to do agriculture. We don’t want to see an industrial project created here for several reasons. First, it would interrupt the wildlife corridor. Besides being next to our land and being a problem for agritourism and our teaching, we are concerned that this property might become a much larger industrial zone. According to Beth Corymb the local area consists of family-owned farms that produce a variety of products. Neighbors produce alfalfa, hay and hay pellets, beef cattle, and heritage breeds of poultry such as turkeys. Earlier this year, the City of Scottsbluff privately negotiated a contract with Croell, Inc. to sell its 365-acre parcel. When the intended sale became public and opposition from the greater community was voiced at the city council meeting, Councilman Scott Shaver took note. He objected when a proposal from other council members was made to bypass the standard process for the sale of the property. This means that the third and last review of the ordinance, and the last opportunity for public comment, will be on Monday August 21, 2017. Reaching out to Croell, Inc.
Beth Corymb has been in communication with Brian Marchant from Croell, Inc. and has been encouraging him to consider another parcel of land that is actually closer to the neighboring cities of Scottsbluff and Gering. At this point, Croell, Inc. hasn’t expressed interest in changing their plans. The alternative site would be very similar to the property that they are intending to purchase. Beth Corymb is still hopeful for a change in plan. Even though 100 acres of the property was once used as the city’s trash landfill, nature has re-established control over the entire property. The landfill site has been capped, and the natural habitat is now the host for the Great Horned Owl and Bald Eagles, which are frequently seen flying over the property. The eagles fish in the ponds on the property as well as fish the pond on Meadowlark Hearth Farm. Beth Corymb indicated that she would like to see the property set aside for a wildlife preserve or used for agriculture purposes such as grazing. Even if this proposed sale of the property falls through, she understands that the property is still available for sale by Scottsbluff for other industrial development. The residents in the area near the proposed cement plant have many unanswered questions. These are some of them. What will be the consequences of establishing an industrial facility in a community consisting of family farms? What will be the infrastructural impact on existing roadways when a fleet of heavily loaded cement trucks start traveling on roads designed for rural agricultural use? What will be the social consequences on neighbors when land in an agricultural area is turned into industrial land? What will be the economic consequences for Meadowlark Hearth Farm and the other farms in the area if the concrete and asphalt plants are established in the area? What will be the impact on Bald Eagle habitat, particularly during the winter months, when anywhere from 5 to 14 eagles can be clearly seen congregating in the area? How Can You Help Meadowlark Hearth Farm and Their Agricultural Community? Contact the Scottsbluff Mayor and City Council Members to communicate your concerns about the sale of this property for use as cement and asphalt production. If you are a customer of Meadowlark Hearth Farm, then be sure to mention that you buy their products. The officials might not appreciate the inherent value of an organic farm, but they do understand and appreciate the economic value of local business activities and potential job growth. Be sure to mention the quality of the products that you have purchased, and that you have chosen to spend your dollars in their community and in Nebraska. This is especially important if you are a seed customer located in other states. Encourage them to re-open discussions with Croell, Inc. and to help them find another more suitable site in the area for their facility. Tax-deductible donations can be made to the Meadowlark Hearth Farm Living Environment Foundation to support the development of their work. Plans include the creation of a commercial kitchen for creating products from the residue that is produced when seeds are removed from vegetables such as tomatoes. These tomatoes could be easily processed into tomato sauce or salsa and sold as value-added products. Discussions are in process to see how the farm could also be used as a setting for a program to help veterans heal from their trauma and receive job training. Those who have raised opposition to the sale of Scottsbluff land to Croell, Inc. are not anti-business or anti-cement. What they want is a fair and open process, which they don’t feel has been provided thus far. They want decision makers to proceed with extreme precaution, and look for a more suitable site. The needs of a farm that produces organic seeds are significant, because the quality of their work literally affects thousands of people who use their seeds to grow food. If their seeds fail to deliver mature plants, then thousands of people will have barren gardens and empty shelves in their refrigerators, freezers, and canning pantries. It really doesn’t matter that much where a cement company mines its gravel and sand, because the potential sources in that region of Nebraska will be similar. However, the people associated with Meadowlark Hearth Farm cannot start over in a new location without serious harm to their business. Starting a new farm takes many years and much hard work that may not produce short-term revenue while infrastructure is being set in place. Restarting a farm could lead to financial failure and the loss of another seed producer. Small seed companies have been under extreme pressure in recent years from mammoth agri-business seed suppliers. Small seed companies such as Meadowlark Hearth are working hard to preserve some of the most delectable vegetable varieties on earth. Speaking from personal experience, my wife and I have been buying Meadowlark Hearth seeds for several years. We continue to be impressed by the unusual selection of seeds, many of which originated in Europe. We love growing vegetable varieties that cannot be found in grocery stores or even at farmers markets. We love the hardiness of the plants and the flavors that far exceed typical garden shop seed varieties. We hate the thought of possibly losing access to Meadowlark Hearth seeds, which are carefully being preserved and cultivated for customers all over America. John P. Thomas interviewed Beth Corymb by phone on 8/8/2017 and 8/14/2017.